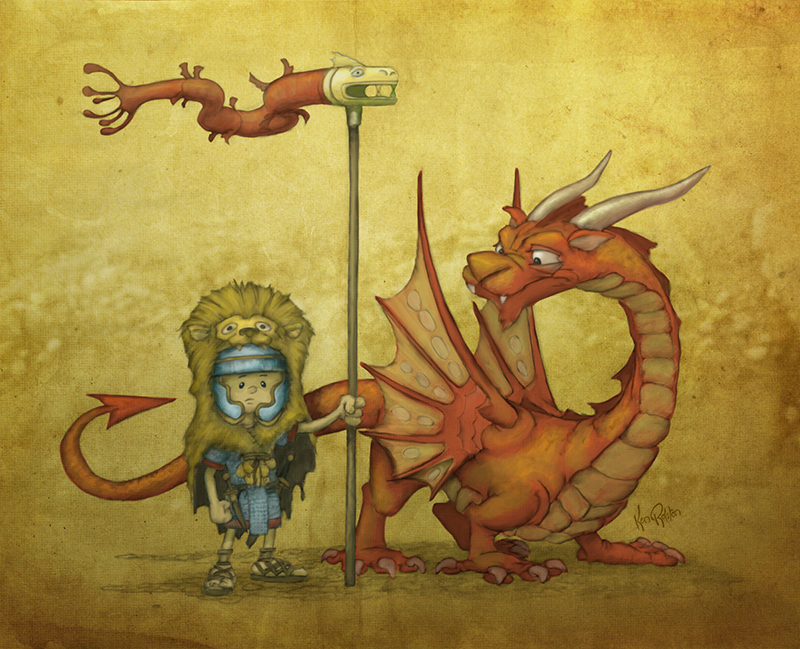 Primus of the famous Roman Dragon Legion stands with the Legion’s mascot, Leocadius. This piece was fun to work on, but I had so little time to work on it that it took me a little over a month of 5 minutes here and 5 minutes there to get it done. October isn’t going to be any easier than September. Halloween is usually a huge day for us…and I haven’t planned a thing yet. deviantArt – some prints available here!